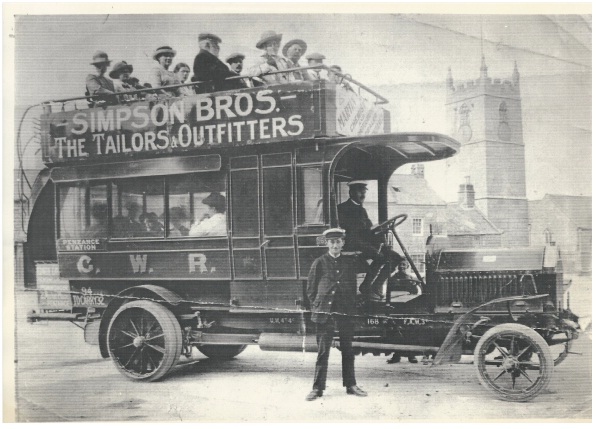 Simpsons’ is a family run company established in the 1860’s selling quality clothing for men and women. We are now run by Stuart Simpson, the fifth generation of the family, Simpson’s continues to maintain an excellent reputation, renowned for high quality, exceptional service and courtesy. 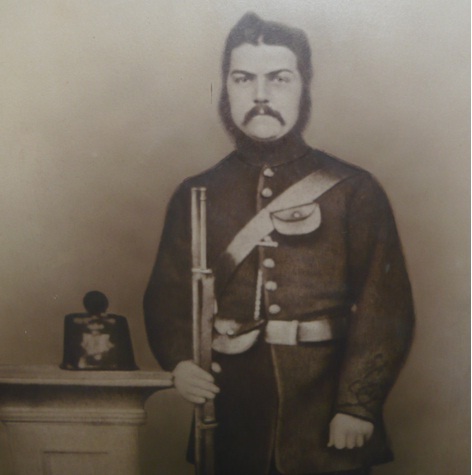 Mr James Samuel Cauldry Simpson came to Cornwall in the early 1860’s and worked in a shop named Clarke & Co, which he took over in the mid 1860's and created ‘Simpson & Co’. James Simpson died in 1890 and his two teenage sons Frank 16, and Harry, 14 took over the running of our family business and continued to do so until their deaths, which occurred within 5 weeks of each other in 1949. During that time the firm changed in many ways. At the turn of the century there was a branch in Durban, South Africa, opened by Mr Harry Simpson in 1904. Orders were taken there and sent back to Penzance where the suits and other items were made and then shipped back. At one time the workrooms in Penzance included a staff of 100 tailors and tailoresses. 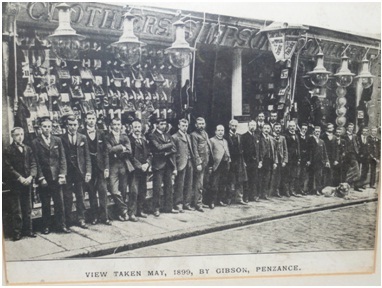 In 1925 the firm became a private limited company and became ‘Simpson Brothers (Penzance) Ltd. In 1929 Harry and Frank bought and rebuilt the neighbouring building to create the premises of 35-36 Market Place in Penzance. The third generation of our family to join the firm were: Clifford and Kenneth (two of Franks’ children) joined in 1922 and 1924 respectively. Two of Harry’s sons also joined; Duncan in 1924 and Hal in 1933. The four men became Directors and took over the running of the business on the deaths of their fathers’. Mr Andrew Simpson (Hal’s son) joined the firm in 1962 becoming the fourth generation. He became the Managing Director in the 1980s’, which he remained until his death in 2010. Kenneth’s daughter Mrs Shana Edmunds also acted as Director until she retired. Mrs Wendy Mitchell (Duncan’s daughter) is still a Director of the firm. The fifth generation along with Wendy are now running the company. Andrew’s son Stuart Simpson is the current Managing Director and his sister Rebecca Welsh works alongside him. Shana’s son Lewis is also a Director. Mr Stuart Simpson says that the longevity of our company is down to hard work of the family over the generations and being incredibly fortunate in having loyal and hardworking staff, many of whom have worked for the company for 25 years or more. In 2012, a current member of our staff Mr David Billingham, celebrated working for Simpsons for 50 years. We hope that the company will continue for many generations to come.